Happy almost-weekend guys! I know this has been a tough week so far for a lot of people so let’s continue going to happier mental places, shall we? Like…Italy! Our #tvobtakesitaly adventure was literally one of the most incredible trips of my entire life and that’s saying something because I’ve been really lucky to have some truly special travels the past few years. My three weeks in Italy were truly life changing though and getting to visit this beautiful country was honestly one of the biggest bucket list items I’ve ever checked off. Before we took off, a lot of people urged us to just stay in Rome for just over a weekend. With so much to see elsewhere in the country, we were tempted for a bit to shorten our stay there and just catch the main sights (as we did for Athens when we were in Greece – 3 days there gave us the chance to explore it decently well). But after we mapped out exactly what we wanted to do, we realized we needed more time in Roma. In the end, we were so grateful we dedicated more time to the city because it ended up being our indisputable favourite. You could honestly spend years in Rome and never see it fully and the 5 days we spent there made us both fall in love with this beautiful place. It’s just such a special city – will be sharing so much more about our time there soon but if you’re pencilling time in for your trip now, would really urge you to spend the most time there! I found a pin of Montepulciano (pictured here) and something about it just set me off on a full-blown obsession. We split our time between this magical historic village (which completely lived up to my dreams) and Siena, spending some serious time exploring other villages around the area. Tuscany is such an incredibly beautiful place with a rich culture, amazing traditions and the food…gah, the food! I salivate just thinking about it (gross). It’s just a must. 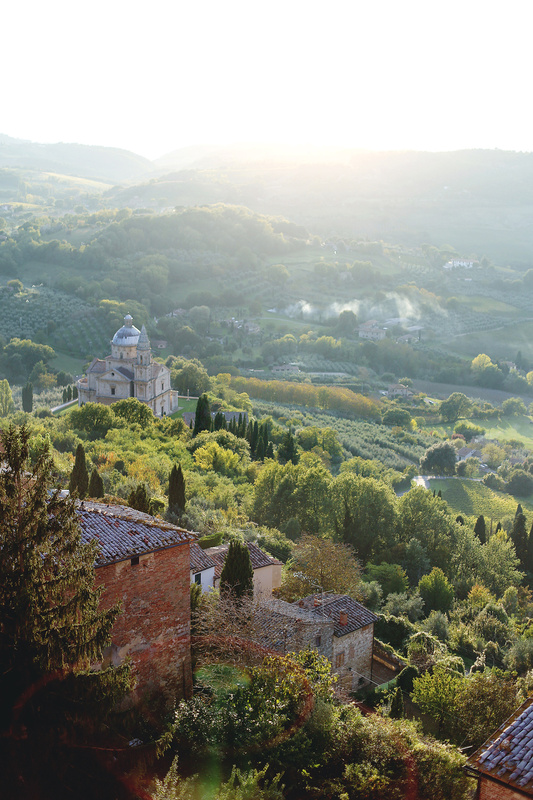 You could spend all your time in Tuscany and be a happy clam. But despite loving it so much right off the bat, we knew we’d be returning to see more of Tuscany in Florence so in the end, 4 days was definitely a good amount of time for us in the beautiful Tuscan countryside. If you’re concerned about getting around, I can’t stress enough that we had a really great experience driving out of Rome (we went around 11AM) to Tuscany, and having the car to explore the countryside was absolutely key. We carried on with the car until we dropped it off in La Spezia before taking the train to our stay in Riomaggiore in Cinque Terre and then it was trains the rest of the way! This is a bit of an audacious statement but I’m just gonna go ahead and declare that Cinque Terre is undoubtedly one of the most beautiful places you could ever visit in your life (PS Cinque Terre refers to the five towns [i.e. 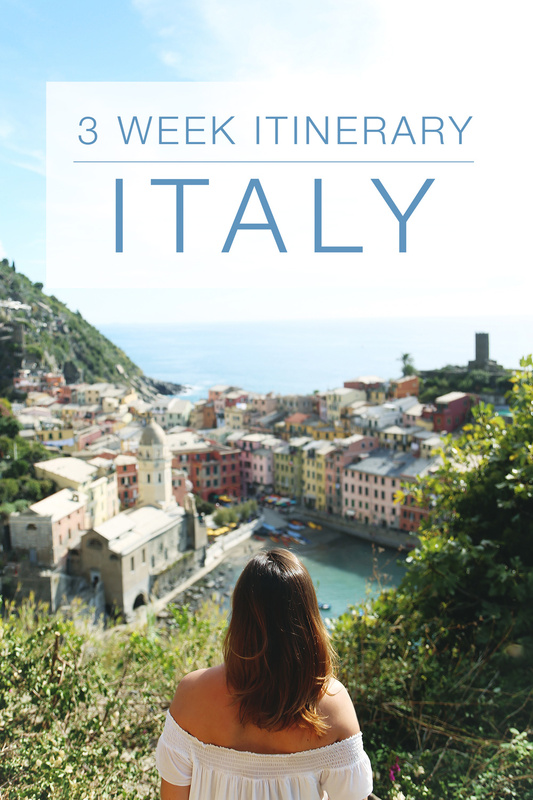 “five lands”], which include Riomaggiore, Manarola, Corniglia, Vernazza and Monterosso al Mare, all beautiful, all so easy to see once you’ve got a base at one of the five!). It’s like a dream visiting the villages there – even with an uptake in tourism, you can imagine life in a simpler time, and the Ligurian traditions and culture is (similar to all the Italian regions) so rich and beautiful to discover. 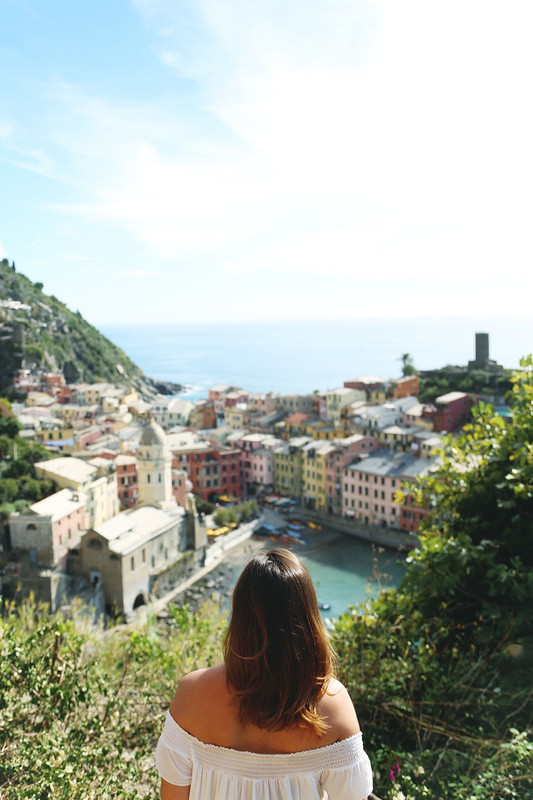 I feel as if as part of a longer trip when you’re trying to cover a lot of ground, 4 days is definitely enough time for Cinque Terre – having said that, I’m already planning an extended trip just to Cinque Terre with my girlfriends in the summer to really absorb life here more. Florence was one of our absolute favourite places. Its history is unreal as is its overall contribution to the world (the Duomo, Michelangelo, etc, etc). It is unbelievably beautiful. The people are so kind. The food is fantastic (in fact, probably our favourite meal of the whole trip was in a tiny trattoria just underneath our Airbnb). It’s not just that you need to spend a decent amount of time in the city itself because it deserves it, but there’s so much to see in the surrounding areas. 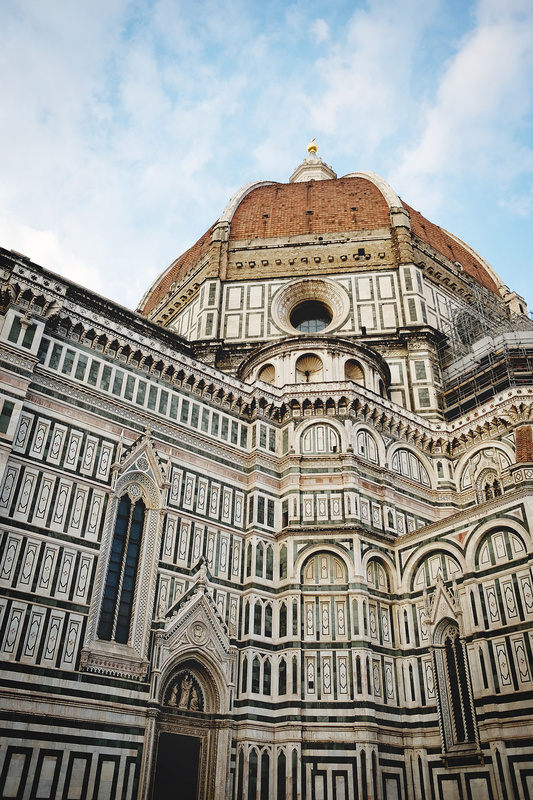 Definitely a great city to choose as a base to explore surrounding Tuscany. 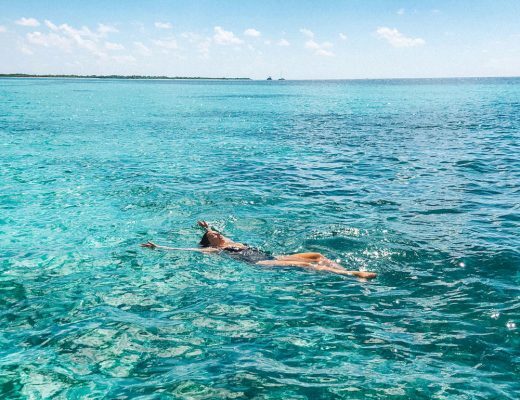 We could’ve spent weeks here! 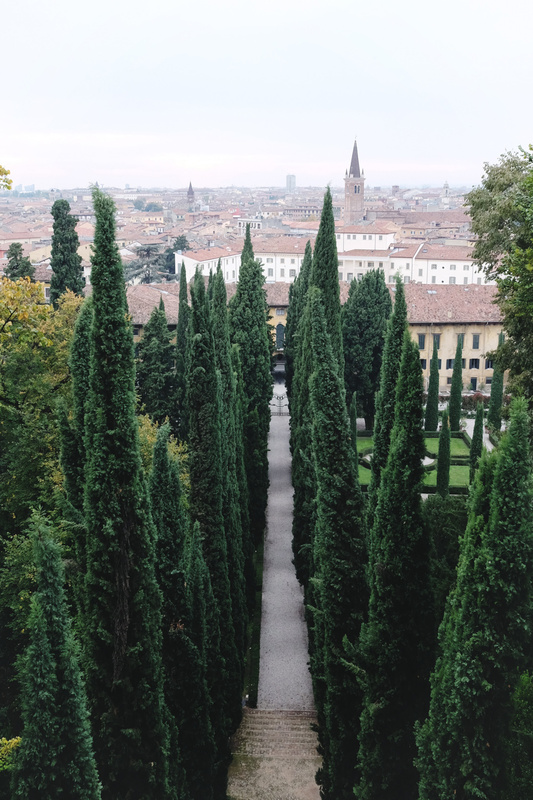 We honestly had no idea what to expect with Verona – we really just picked it because I’m a lit geek and liked the romantic notion of visiting somewhere that supposedly inspired Shakespeare so much. We hadn’t even really looked at pictures! 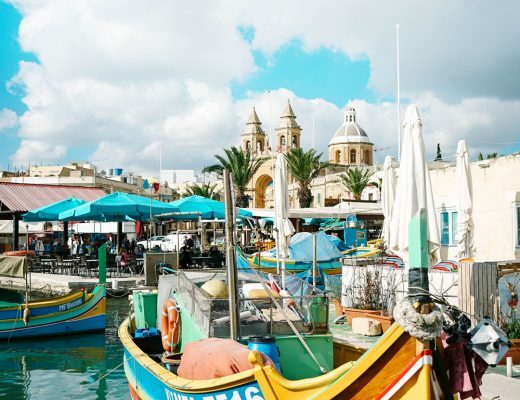 But we were so pleasantly surprised to pull into this stunning town – we honestly could not have picked a better spot to have rolled into at the later leg of our trip when we were both starting to feel a little bit worn down. Oddly, we both immediately thought of our university town Victoria (it also reminded me of Cork, Ireland, another uni town!) and were overwhelmed with a sense of the familiar – so weird but in looking at the similarities between all three towns, it makes sense! Verona is clean, elegant, laid-back, beautiful, relaxed. It was such a treat to take it a bit easier and to also get to be treated to such a truly stunning town, with so much more history and things to see than we expected. Lake Garda is also nearby and apparently a great day trip from the town, but sadly I was starting to get sick at this point and we had bad weather so decided to opt out of it! A reason to return though (which is what I always tell myself when I inevitably don’t get to see everything I wanted to). 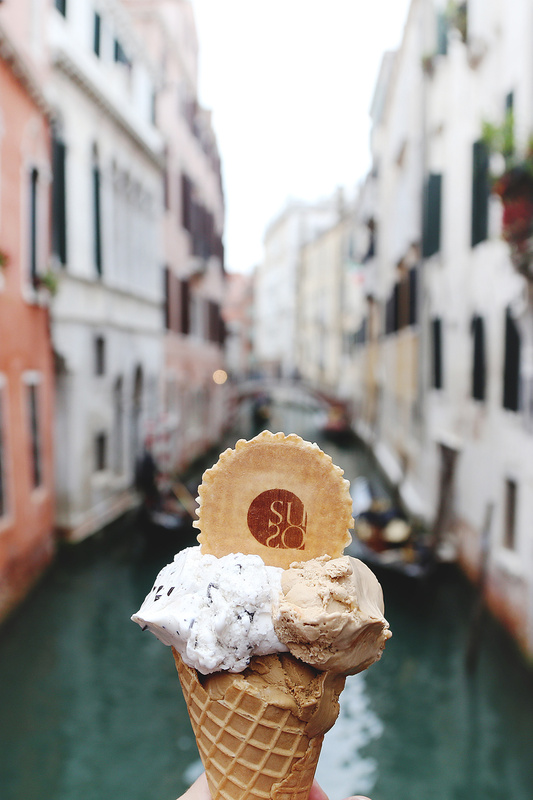 Venice is a once-in-a-lifetime kind of place, not only because it is quite literally like nowhere else in the world, but because there may be some legislation soon to limit the amount of tourists visiting so worth going while you can easily! Also, with agua alta (its famous floods) on the literal rise, it’s possible the city won’t always be so accessible. But a sense of urgency aside, the city is beautiful and truly romantic (in what I found a slightly eery way! ), with some of the most interesting history we got to uncover on our whole trip. It’s also a great place to set up camp at in order to visit the surrounding islands (like Burano or Murano), so all in all, it really warrants a proper visit. And there you have it! Our whole Italy trip! As you can probably see from some quick addition of my suggested dates here, our trip was a few days over three weeks so if you literally have a 3-week, 21-day cap, my suggestion would be to cut a day from the Tuscan countryside, a day from Cinque Terre and a day from Verona. This is actually not based at all on personal preferences (Cinque Terre in particular I could spend forever in) but because the other destinations act as better bases to see surrounding areas if you can’t stay in each spot we have listed here (for instance, a lot of people visit Verona from Venice, visit Cinque Terre from Florence, do day tours of the Tuscan countryside from Florence or Rome, etc). But hopefully you have a few more days to come in just over 3-weeks because if I have to be totally honest, I wouldn’t have changed a single thing on our trip. 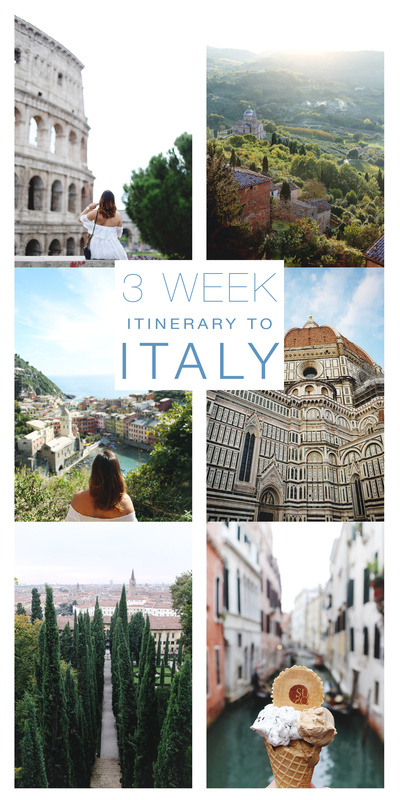 Anyway, this is honestly just the beginning – I have multiple city guides coming for each and every one of our destinations and so many more general guides (packing lists etc) to get you set up for your next Italy trip, but hopefully if you’re thinking of taking off soon, this helps you map it out! I have this graphic above for you to quickly refer to – feel free to pin it, save it, etc! Looks so beautiful and warm! Thanks for the tips! I always find these kinds of guides handy, particularly how many days to spend in each place. Do you need a special driver’s license to rent cars in Italy? All you need is an International Drivers Permit, super easy to get from BCIC!